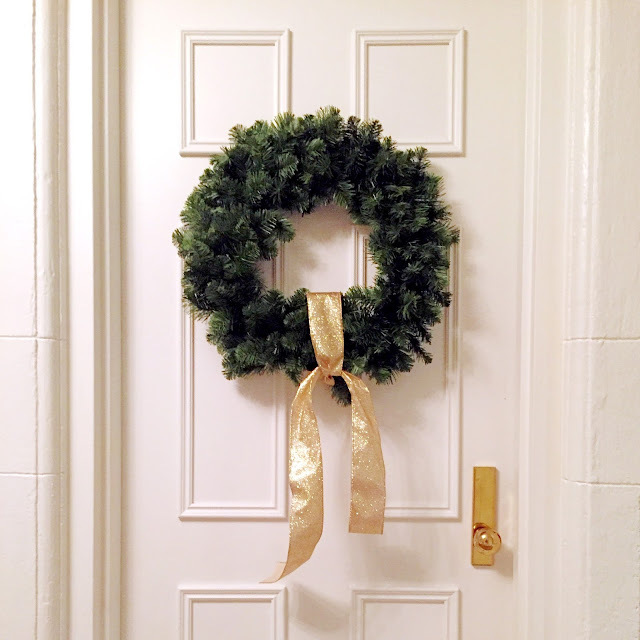 The holidays are just around the corner and every year, despite wanting to be on top of it all, I seem to scramble last minute. This year, I decided I wasn't going to do that to myself. 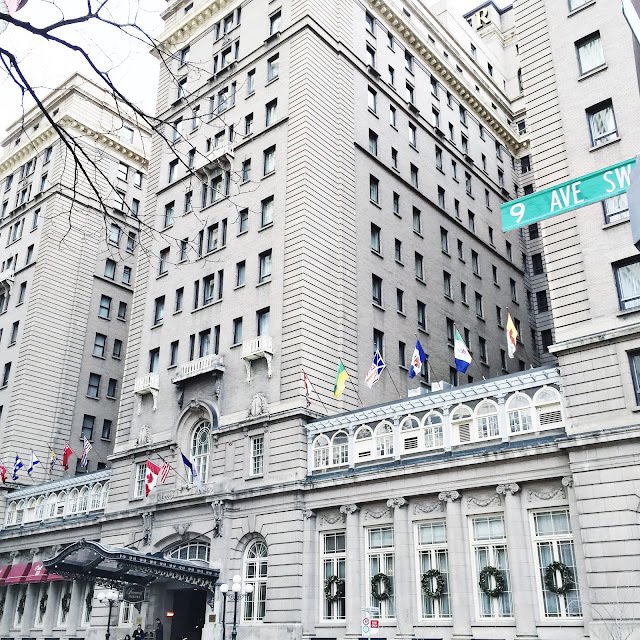 In an attempt to make tackling my list a positive experience, I did a little research online and discovered the Fairmont Palliser has a special Holiday Stay plus Shopping package. I was even more excited to find out that there was an added incentive of receiving a $75 gift card for every night's stay to be used at the Core Shopping Centre (or Chinook Centre/CrossIron Mills). I'm a loyal Fairmont fan. I love that they have LeLabo products in the rooms. 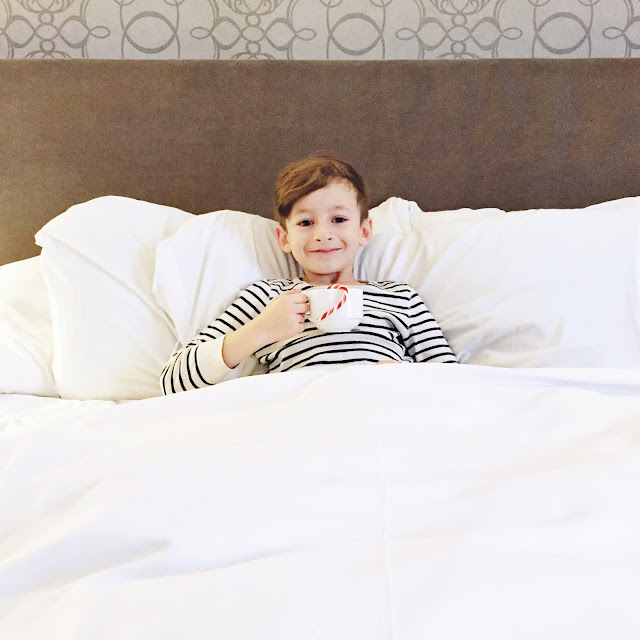 The beds are incredibly comfy and the staff truly makes your experience feel like a home-away-from-home. I've stayed at several Fairmont properties across Canada and it just so happens that the Palliser here in Calgary feels a bit like a castle. All of this considered, I booked online without hesitation and told the boys to pack their bags. 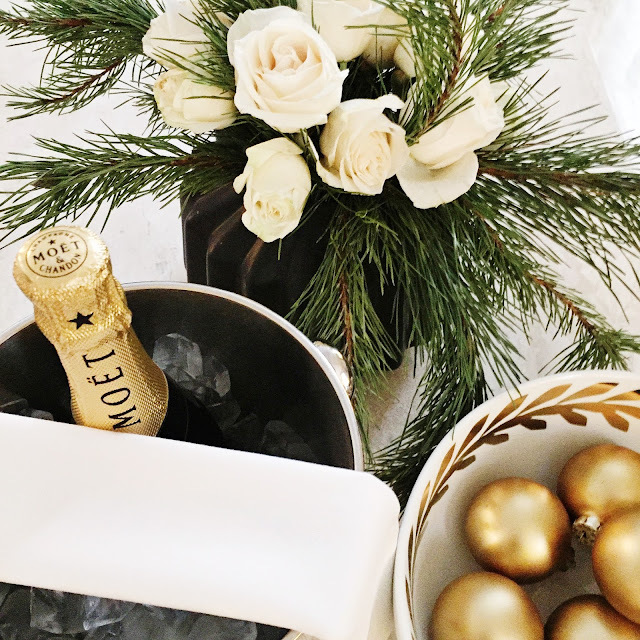 We checked in on Friday and were welcomed to our room with warmed cookies, hot chocolate and a little Moet for the adults. 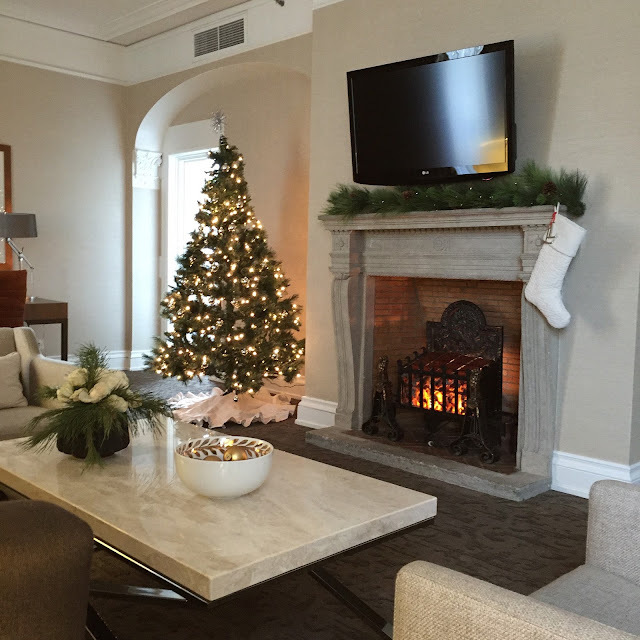 The addition of a little holiday decor made the space feel very homey. It was a beautiful crisp sunny day so we decided to walk to the Core and take a look around. I was able to find an amazing gift for my Mom right away. I've been looking for a grey hat forever for myself too.... they just happened to have one at Club Monaco. The boys thoroughly enjoyed browsing books and toys at Indigo and I was able to do some intel on what they might be hoping for and even purchase a few things when they weren't looking. We returned and were welcomed in the Fairmont Gold Penthouse Lounge for a complimentary array of canapés, cheeses, breads, and pastries. We posted up in the comfiest armchairs and marveled at the beautiful view of twinkling lights across the city skyline. From there, we were ready to turn in and snuggle up in front of a holiday movie back in our room and discuss our plans for the next day. Saturday morning started with breakfast in the Penthouse Lounge. It was such a civilized start to the day. I sat, sipping a latte, note paper in hand, and jotted down any items remaining on my list. My shopping was a complete success. 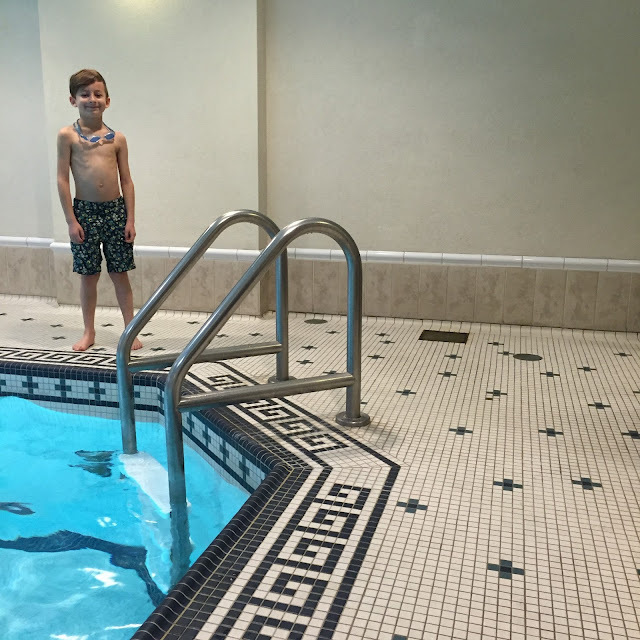 We were excited to make an afternoon out of visiting the pool facilities and there was even a quick spa visit for me. Dinner reservations awaited us in The Rimrock Dining Room that night and we enjoyed every moment. We found ourselves too stuffed to eat another bite and our server kindly offered to send us back to our room with the most darling take away mini cheesecakes in mason jars. 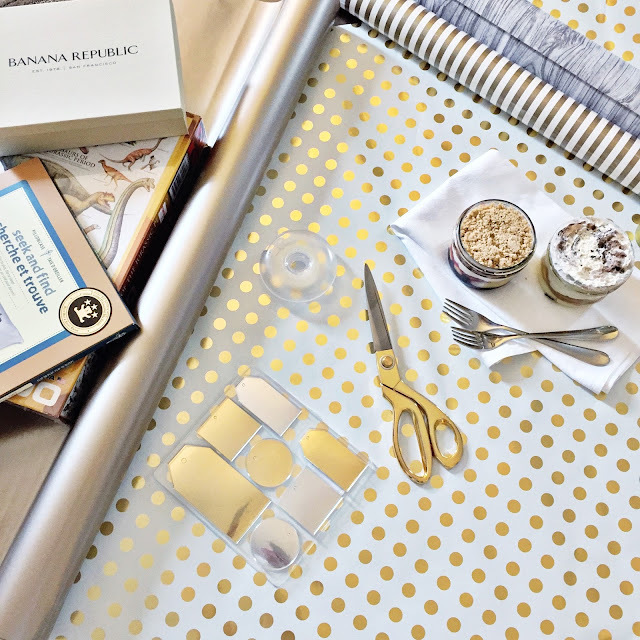 At this point, I snuck away to my room to indulge in the most dignified gift-wrapping... sipping hot chocolate, enjoying bites of cheesecake and cookies and laughing along with Christmas Vacation playing in the background. This may go down as the best holiday of my life and it's only the first week of December. 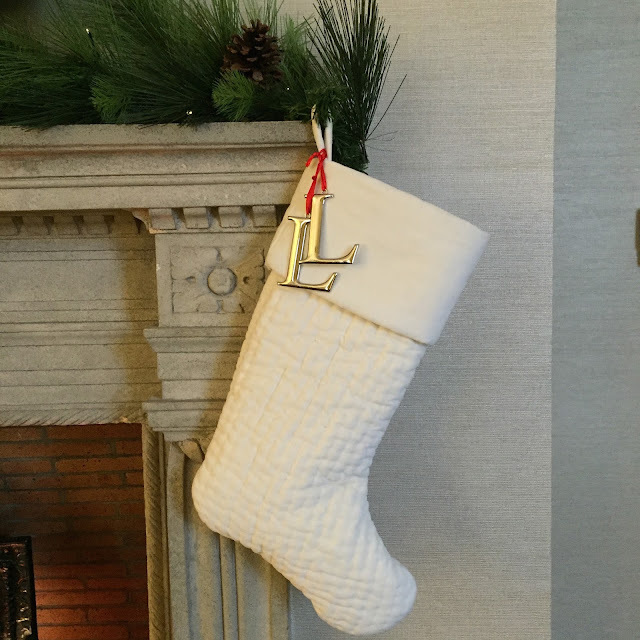 At this point, when my wrapping was complete and the boys were all quietly reading, little Lolly already asleep, Luke and I decided to have a night cap down in The Oak Room Lounge. The best part of this... when you're staying in the hotel, the weather outside might be frightful, but you never have to step foot outside. I was able to bring the prettiest open toe shoes and show off a fresh pedicure from the RnR Wellness spa for our little date. It's the little things. And after all, I had every right to celebrate my shopping list being complete! 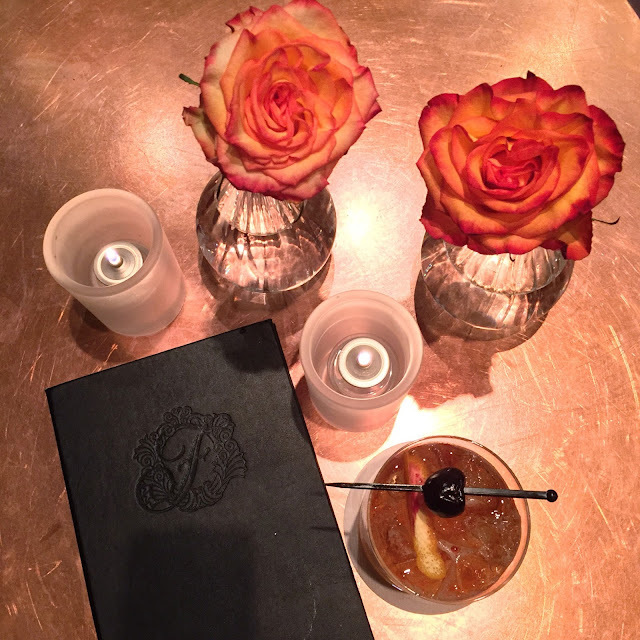 The Oak Room has the world’s best garlic truffle fries, a signature cocktail list and the prettiest copper tables. Sunday morning was so relaxed. I felt like I hadn't a single worry in the world. We indulged in the most amazing brunch on the main level and before we knew it, it was time to return home. We discussed our favourite moments of the weekend and all agreed there were too many lovely experiences to single out just one. This seriously got me to thinking, how amazing would it be to stay here Christmas Eve or for New Year’s Eve? I was amazed to find out that most of the special dining events are nearly sold out! This would be the most treasured place to be at that time of year, and perhaps, the weekend we had just might be a tradition for years to come. 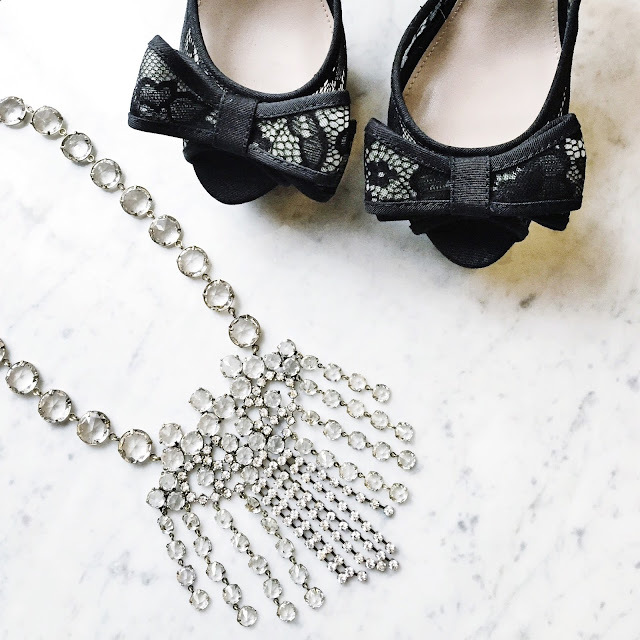 Learn more about the Fairmont Palliser and their shopping package here. Post sponsored by the Fairmont Palliser all opinions my own. Your stay at the Fairmont Palliser sounds heavenly! What a completely romantic way to spend a few days prepping for Christmas fun. You and your crew got the star treatment, and I enjoyed your play-by-play on Instagram. Beautiful photos and I love your white outfit too, perfect for the Christmas season.